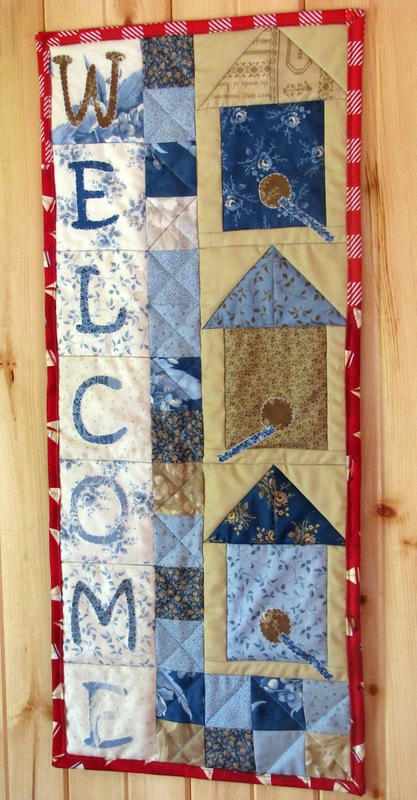 I finished my Birdhouse Welcome wall hanging this weekend! You can read all about the fabrics I chose and the pattern I used here. 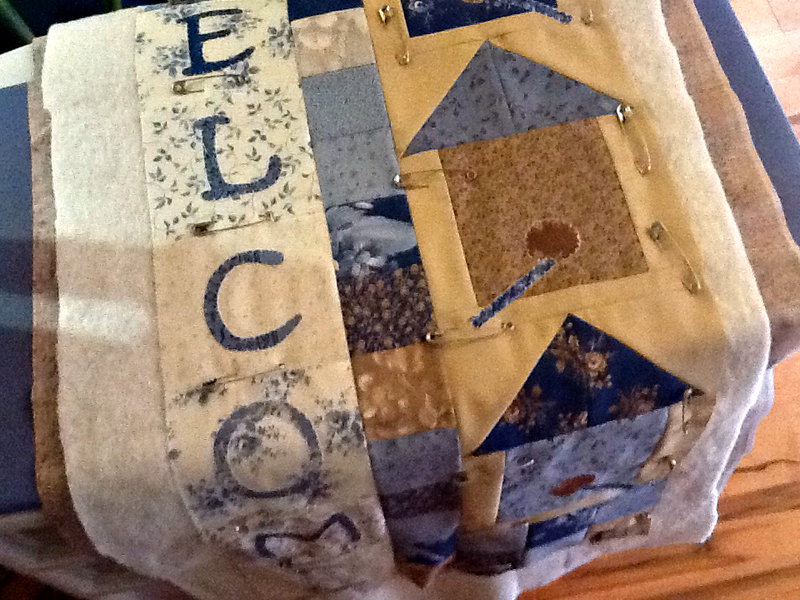 I quilted in the ditch around the letter blocks and around each birdhouse. 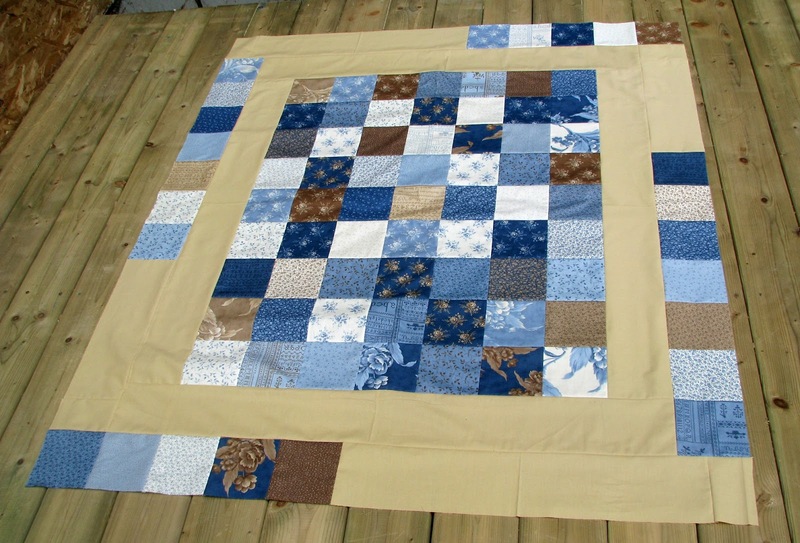 And I quilted some diagonal lines in the little squares. I'm very happy with this little finish. 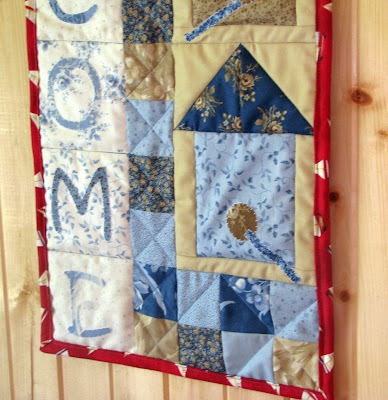 I'd been wanting to make a small wall quilt for the mud room for a long time now and it's perfect for the room. First order of business when I got to the cottage Friday night was finishing the top for my July Schnibble - Decoy. You can read all about it and look at pictures here and here. 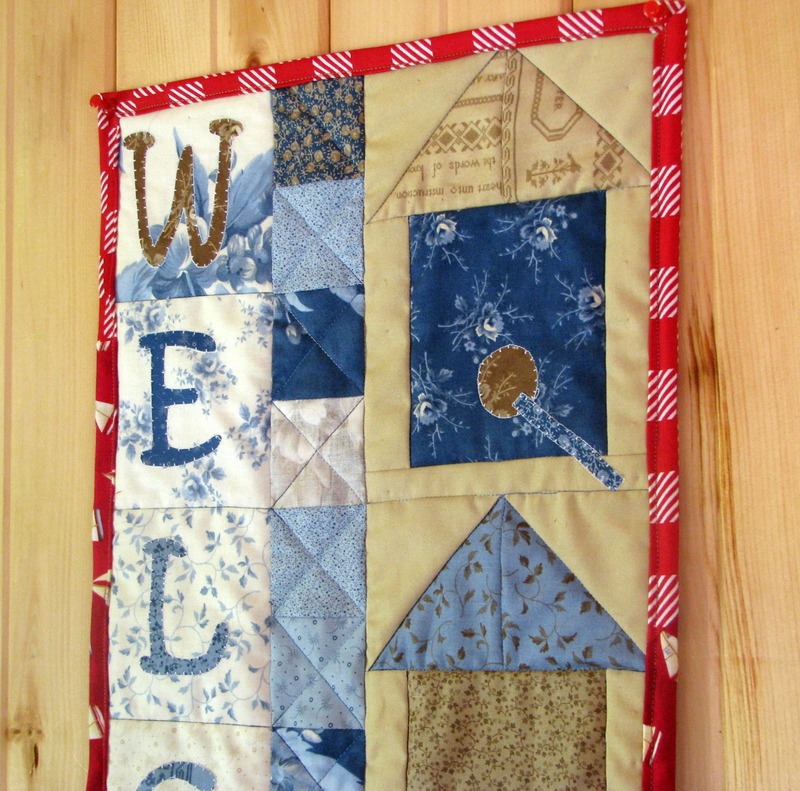 Then, I decided to pin baste my Birdhouse Welcome little wall quilt. 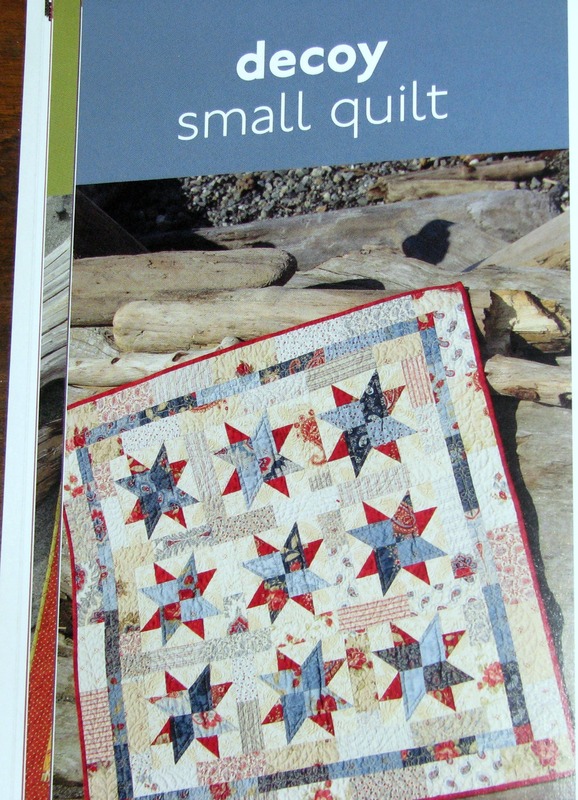 I hope to get the quilting done on this one when I get to the cottage on Friday. Lots of rain in the forecast for this weekend so I might actually get this one all done before I get back to the city Sunday night. To read all about Birdhouse Welcome, go here. Finally, on Sunday, I decided to start a new project. A couple of months ago, I bought Noodlehead's pattern to make a 241 bag. These beautiful bags were popping up all over blogland and I really wanted one! But I never actually got around to doing anything with the pattern until this weekend. Because this was going to be my first time making a bag from this pattern, I decided to use "cheaper" fabric I had in my stash (so I wouldn't be so upset if it didn't turn out quite as nice as all the other bags I'd seen!). So far, I've got all the pattern pieces cut and they will be coming together this weekend. And I spent hours all week, while watching TV, weaving in ends for my granny square blanket! This is taking F.O.R.E.V.E.R.!!! ... and a mountain of quilt tops for me to finish! 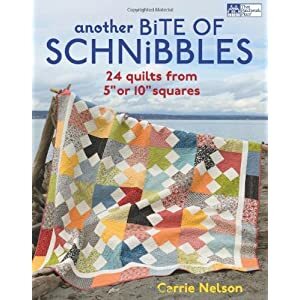 In July, the wonderful Sinta and Sherri who organize the Another Year of Schnibbles quilt along let us decide which pattern we wanted to use. I had Vintage Modern by Bonnie & Camille so I went with that. Now I can't wait to see the parade on the 1st and... find out what's lined up for August! We finally got a bit of rain this weekend... we badly needed it... the garden really needed it! We woke up on Sunday to beautiful sunny skies, but by about 1:00 PM, we had dark clouds, loud thunder and some spectacular lighting. Decoy designed by Carrie Nelson (Another Bite of Schnibbles). I was able to piece all 9 blocks as well as most of the sashing. I will be finishing the top this weekend. 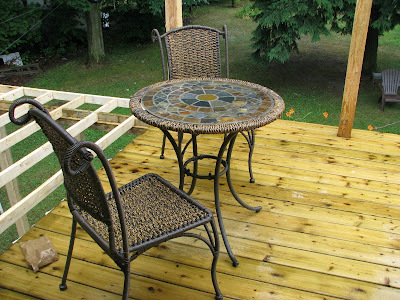 Another project my sweetie and I have been working on is a new deck at the cottage. That's not actually a door leading out to the deck, it's a huge window, but it's awesome! And that room is where I sew. So I can take little breaks and just step out onto the deck! The railing isn't even built yet, but I've got my bistro furniture out there already. Had my morning coffee out there Sunday morning. It was great! WIP Wedneday - The List is Growing! 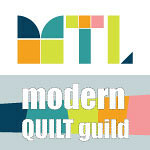 I feel as though I'm taking a vacation from my quilting goals this week! As I said in my last post, instead of working on finishing quilts, I'm starting new projects! 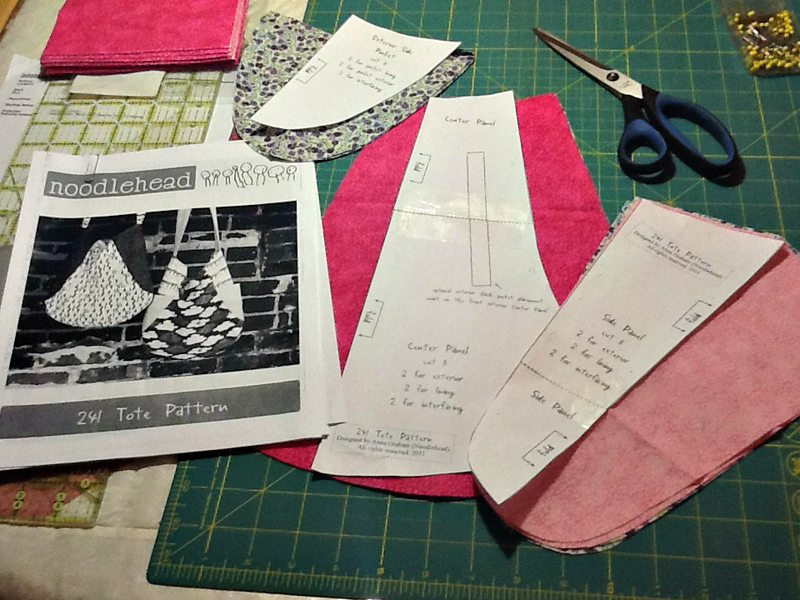 This week, I started and finished a cute little ruffle zipper pouch, completed the top for a new wall quilt to go in our new mud room at the cottage and chose the pattern and fabric for the July Schnibble. You can read all about my projects from the weekend here. 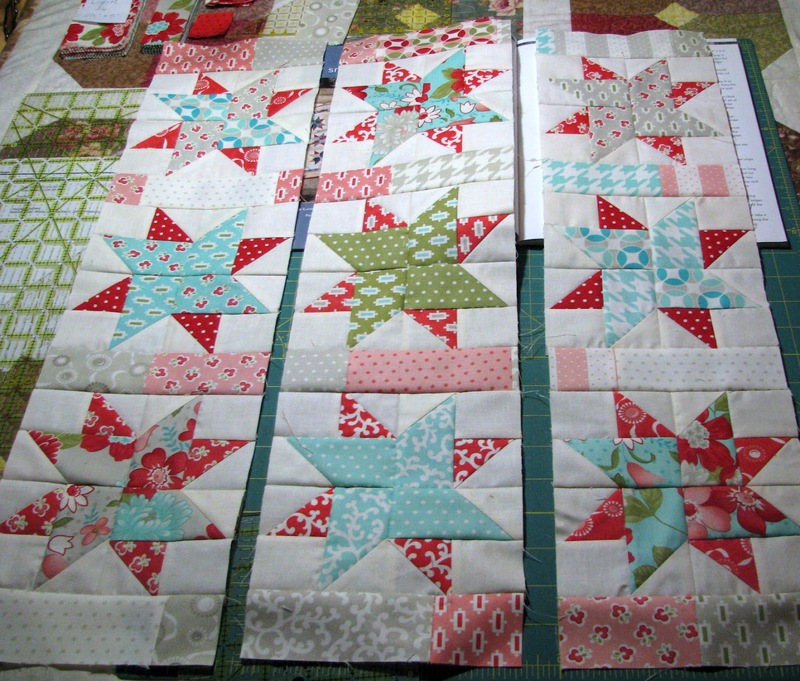 Gosh that's a long list - I really need to focus a little more and get those tops quilted! 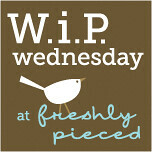 Linking up at Fresly Pieced for WIP Wednesday! I know I've got lots of finished tops that need quilting and I'm supposed to be working on the July Schnibble, but this weekend, I felt like working on something small, simple and quick. And I also wanted to try something new. I decided to make myself another small zipper pouch. First because I need the practice - I'm really bad at zippers! And second because I needed a pouch to store my zippers and elastics. So I started looking around blogland for a fun project that would "challenge" me a little. I'm not sure you can really tell from this picture, but I sewed the bottom ruffle incorrectly. Instead of sewing the raw edge of the ruffle to the accent piece, I sewed the folded edge. So I've got a raw edged ruffle sticking out! I also messed up and used the wrong fabric for the accent piece. Here is the finished pouch with its content! I used some Recipe for Friendship fat quarters I had left. When I finished the pouch, I started working on another small project. I've been wanting to make a wall quilt for the new mud room my sweetie built in the Spring. I went through my Bloom Creek Quilts book and found the perfect pattern. Birdhouse Welcome designed by Vicki Bellino and I used Blueberry Crumbcake charms. This project came together super fast and I got to practice another technique I rarely use - applique. 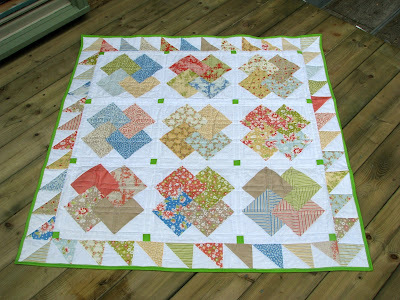 I hope to be able to quilt and put the binding on this little wall quilt this weekend. 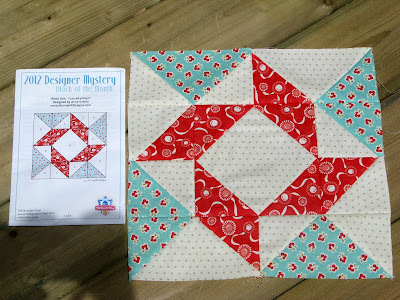 Linking up at Quilt Story for Fabric Tuesday. Go and check out what everyone else is up to this week! 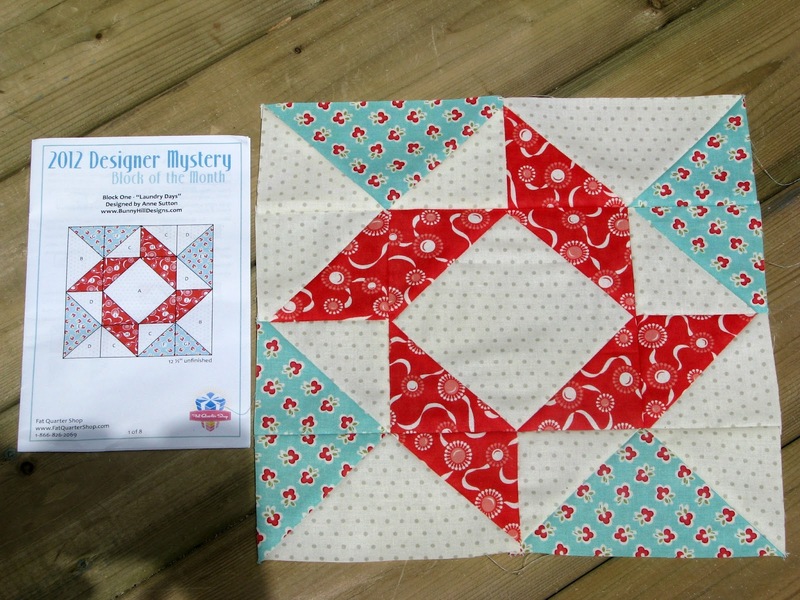 I got started with the quilting for Doc, the May Schnibble. 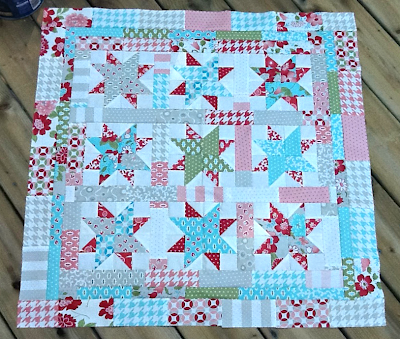 Pieced with two California Girl charm packs and some white background fabric. Don't look at the corners too closely... I just couldn't make those borders line up properly! 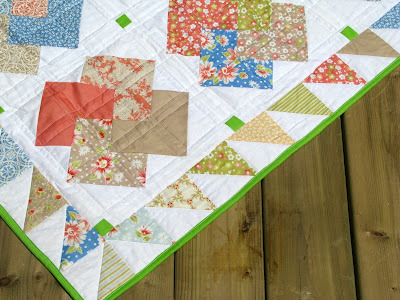 I quilted straight lines throughout and used the same lime green I used for the cornerstones for the binding. The quilt finishes at 42" square. The perfect size for a baby quilt. Next, I got started on a new project. My boss (who's also a dear friend I have known for 15 years now) is turning 50 this August. 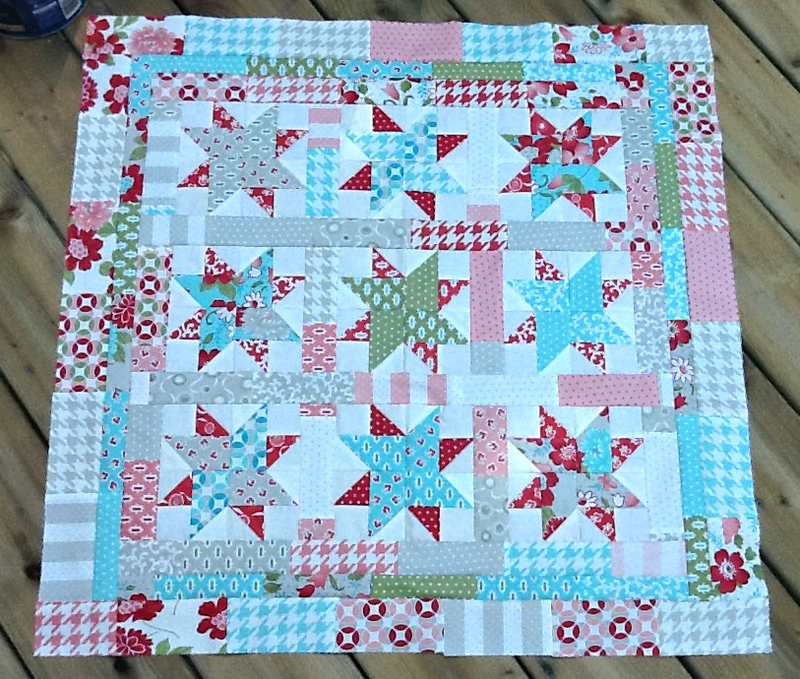 So I decided I would make her a nice lap quilt for her birthday. I had a really hard time deciding which fabric to use for her quilt because she's really not a "girly girl" and HATES pink! :-) In the end, I decided to go with Blueberry Crumbcake charms and a beige background fabric. I now need to find the perfect backing and binding fabrics but I have no idea what colours to go with! Any suggestions? 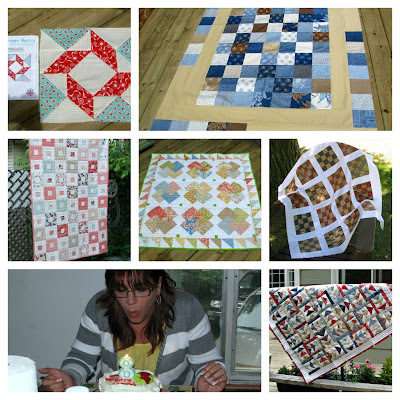 Linking up at Quilt Story for Fabric Tuesday. I'm back from vacation at the cottage... and back at work tomorrow morning. The going back to work part isn't great, but being back online after a week away is wonderful. 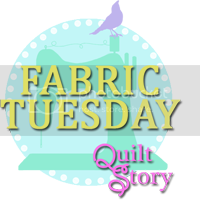 I've been slowly catching up on my blog reading, downloading pictures I took and today, I decided to write my blog post for the monthly Fresh Sewing Day linky party! 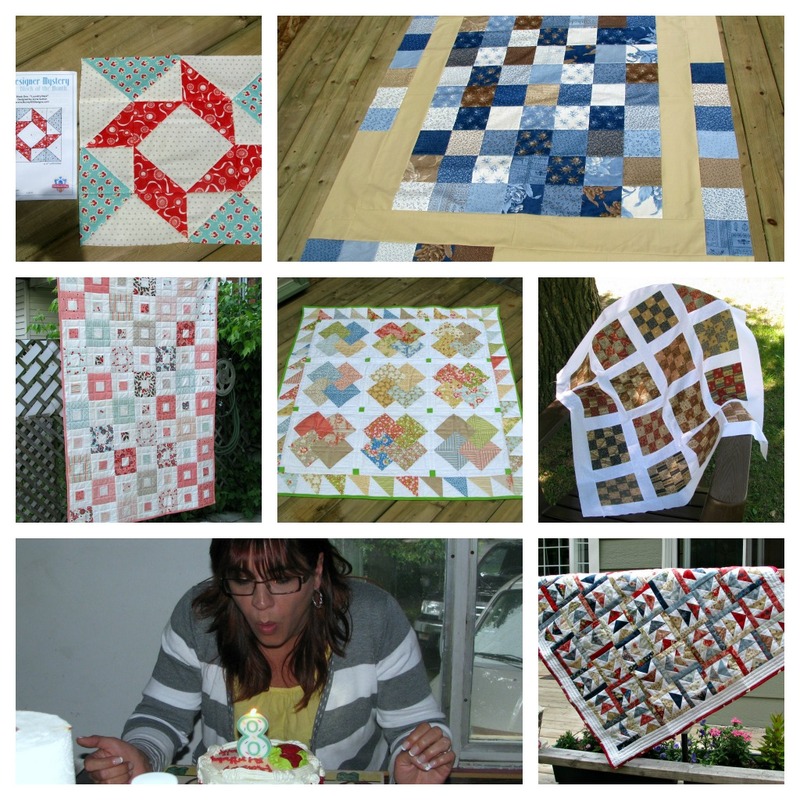 So here is my June Mosaic, complete with a birthday picture of MOI! 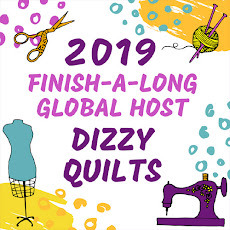 Don't know how productive July is going to be with no vacation and a bunch of birthday celebrations to attend, but I'm sure I'll manage to find some time for quilting!